The Catholic Bishops of Australia are inviting young people from across the country to join in national celebrations to mark the Year of Youth. The celebrations will commence at the start of Advent in 2017 and finish at the end of 2018, bringing together youth groups, schools, parishes and dioceses. The Year of Youth celebrates ten years since Sydney hosted World Youth Day during 2008 and the event will celebrate the unique contribution young Catholics make to the life and the future vision of our Church. "Young people have a great capacity to address injustice and create new opportunities for joy and hope", explained the President of the Australian Catholic Bishops Conference, Archbishop Denis Hart. "In 2018, we want to engage with youth in new ways and they with us, helping young people to encounter God in Jesus Christ". "Leaders and older members of the Church must continue to listen to and benefit from the many graces of youth, supporting them to discern their vocation and identify their call in the world, within communities where they are safe, nurtured and respected", Archbishop Hart added. 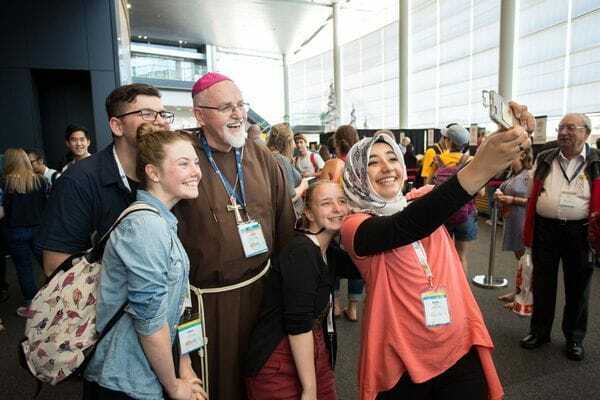 The Australian Catholic Bishops Conference said it is committed to using the Year of Youth as a period of dialogue and discernment with young people ahead of the next Synod of Bishops in Rome in October 2018. Pope Francis has announced that the focus of that global meeting will be on "Young People, Faith and Vocational Discernment". The Year of Youth will be officially launched at the Australian Catholic Youth Festival in Sydney from 7-9 December 2017.